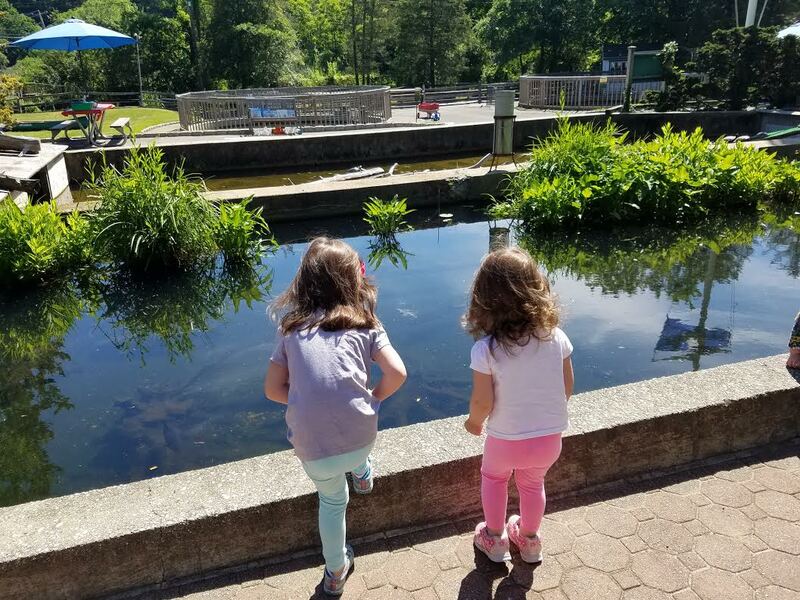 Pollywog Adventures is a great children’s program available at the Cold Spring Harbor Fish Hatchery & Aquarium. 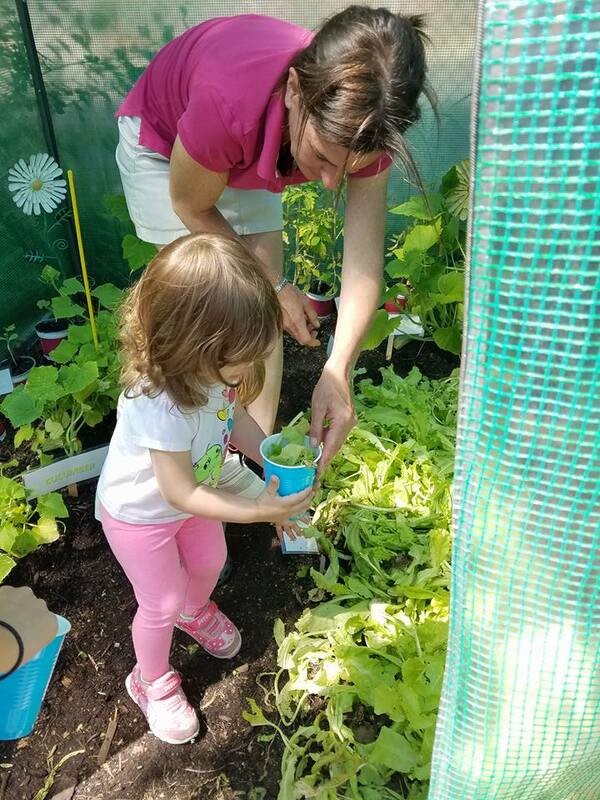 The hatchery has a beautiful outdoor area for families to enjoy and learn. 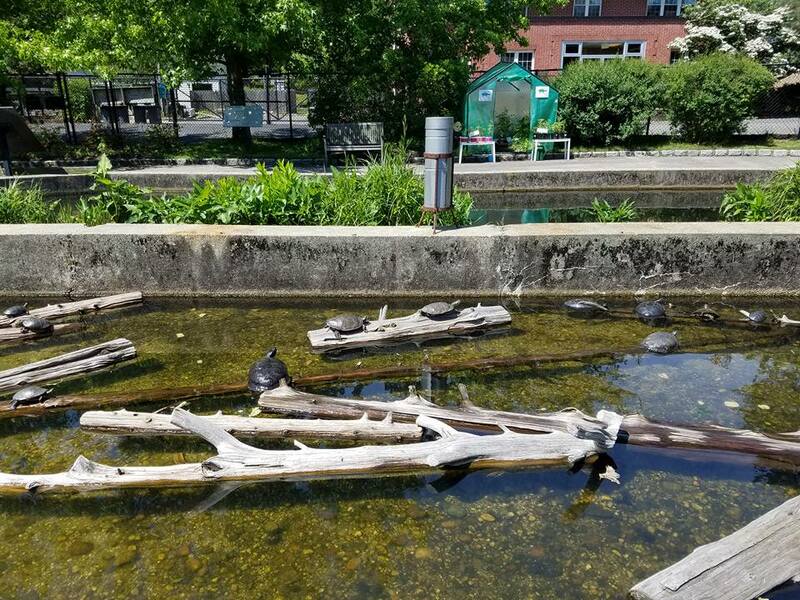 The theme of the day was the turtles. 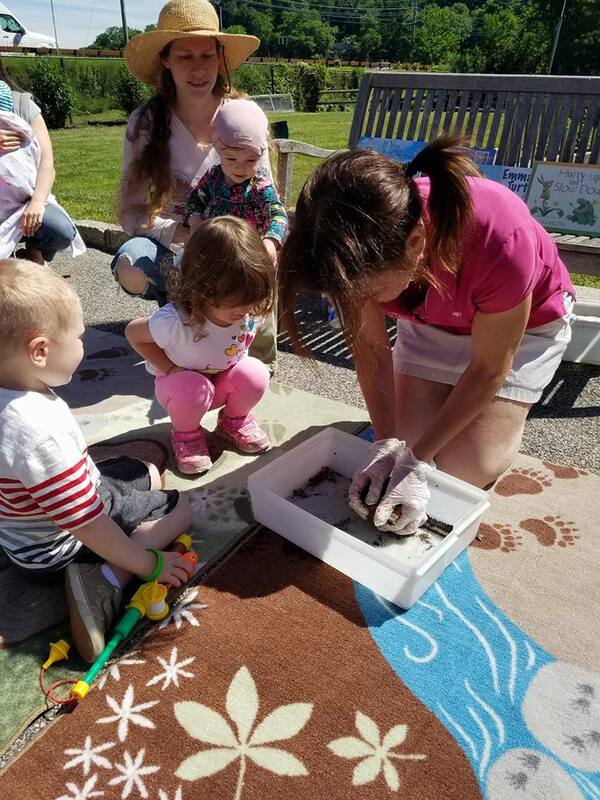 The kids were fascinated watching their teacher make “turtle turkey meatballs” for the turtles to eat. 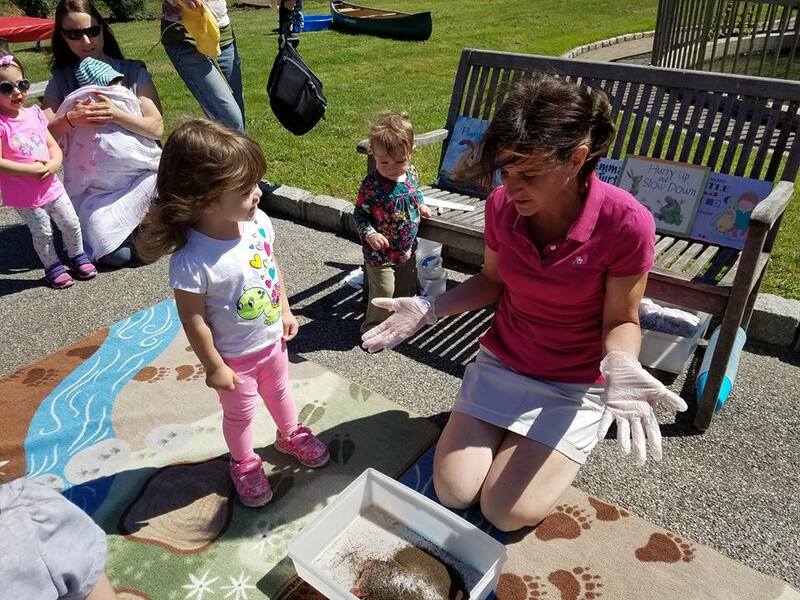 The combination including turkey chop meat and other nutritious ingredients and after the kids watched as the meatballs were given to the turtles to eat. 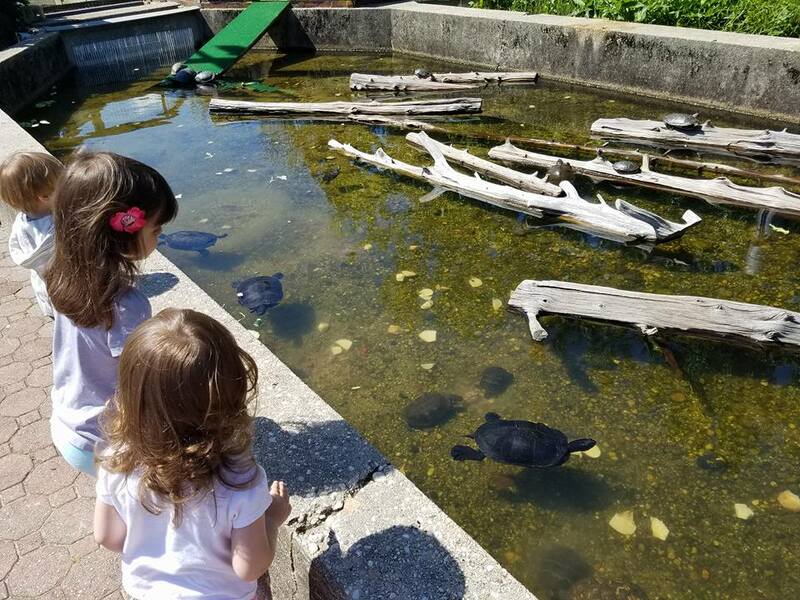 My daughter’s really enjoyed the interaction they were able to have with the turtles at the program, too. 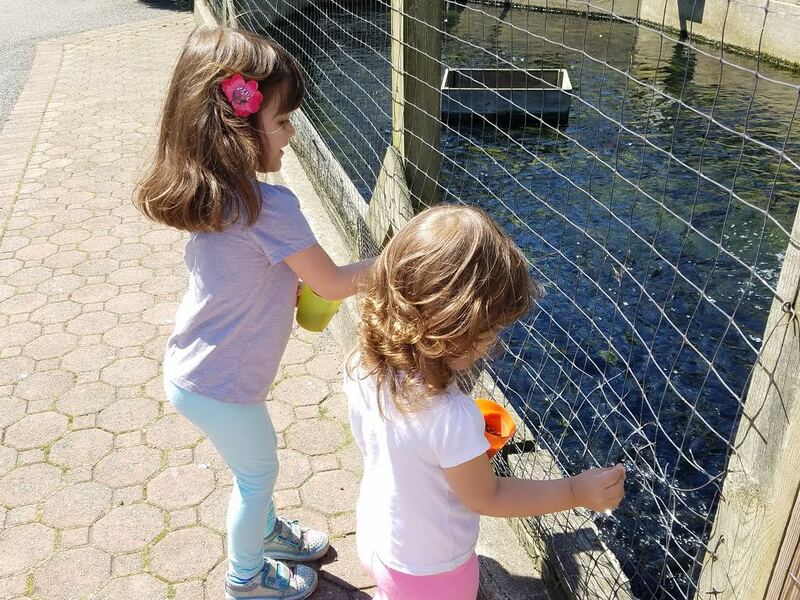 They were able to enter the garden and pick the freshly grown lettuce and strawberries to feed the turtles. The children were also given fish food pellets to feed the trout. 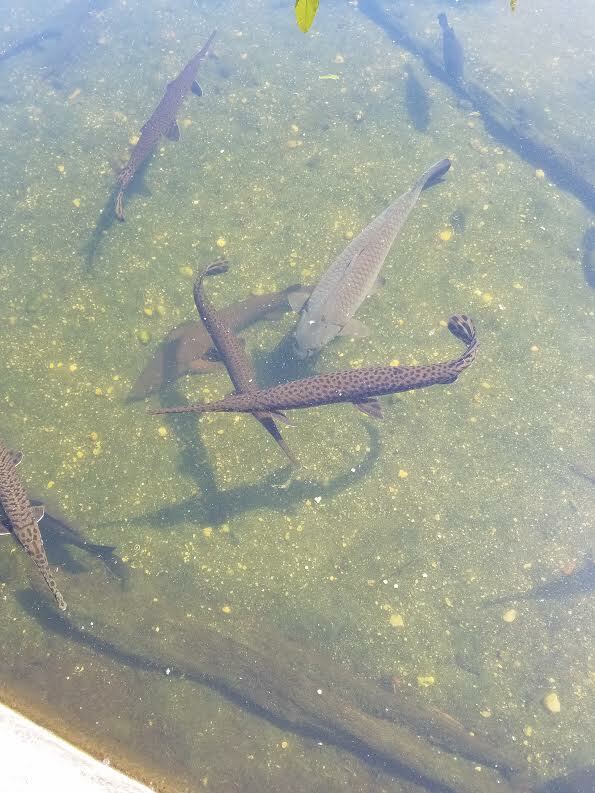 After feeding the trout we watched all the different fresh water fish in the warm water pond swim around. 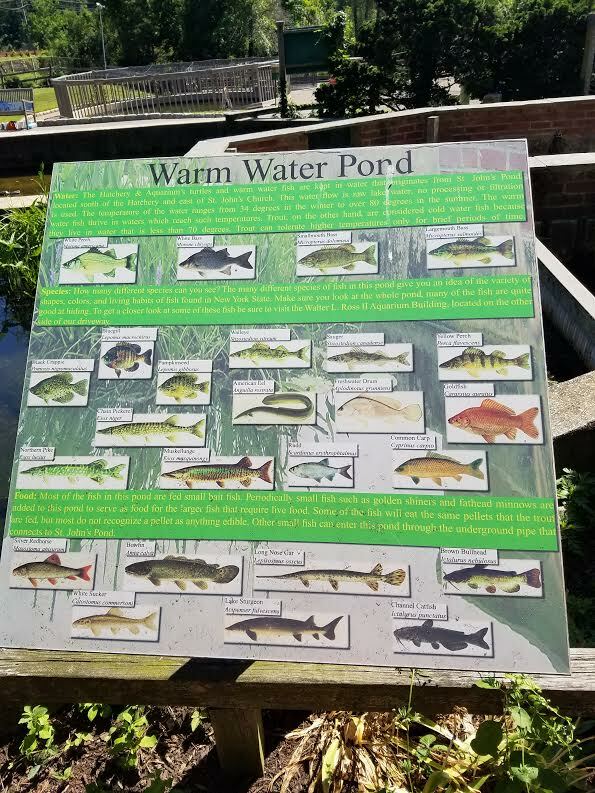 We loved trying to find the fish that were on the information board in the pond. 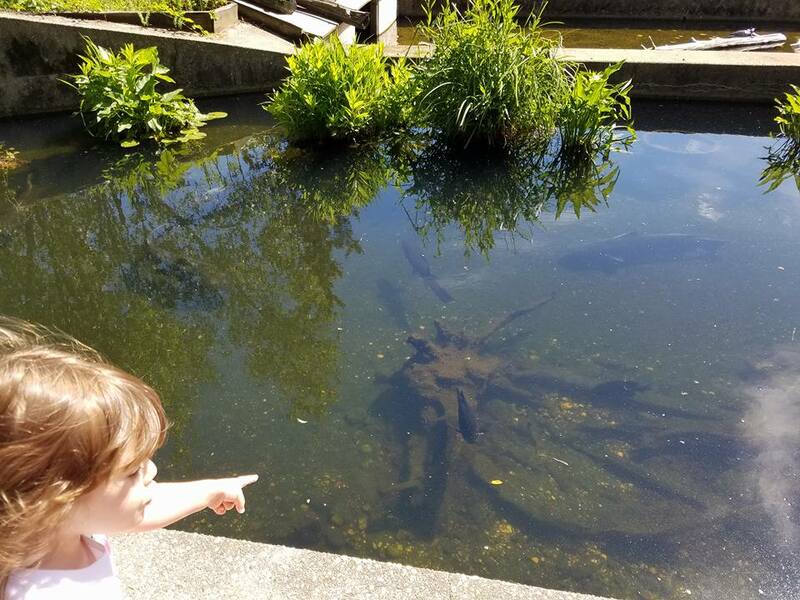 There were so many great fish to see and the kids found it fascinating. 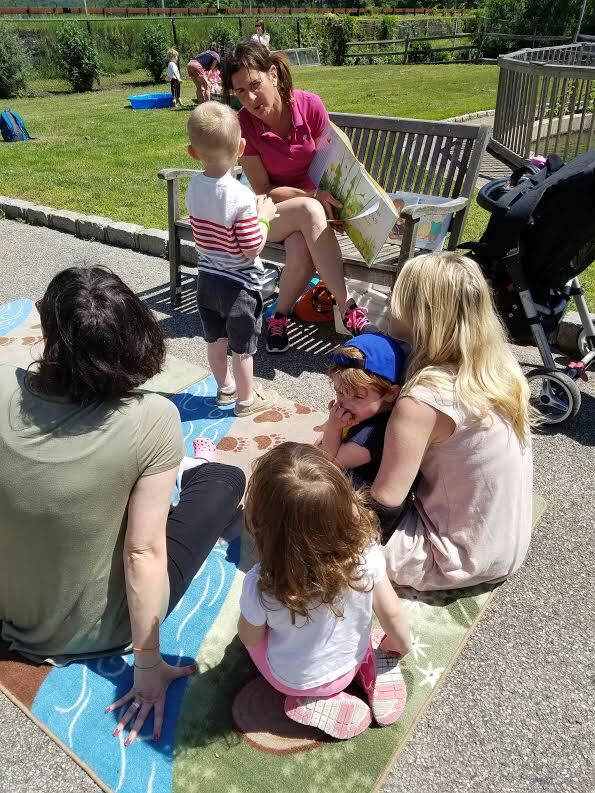 We enjoyed a story and craft, as well. 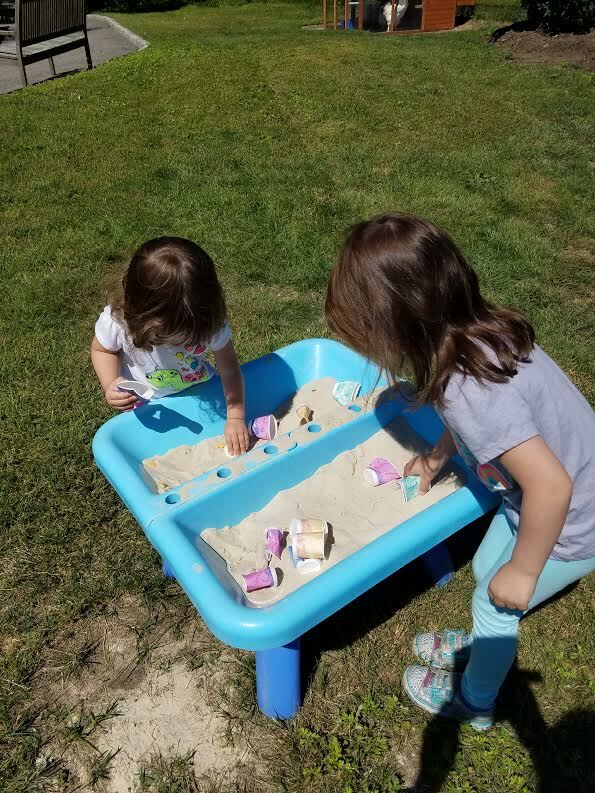 The grounds are beautiful and the kids enjoyed playing inside of the boat and exploring the sand table, too. 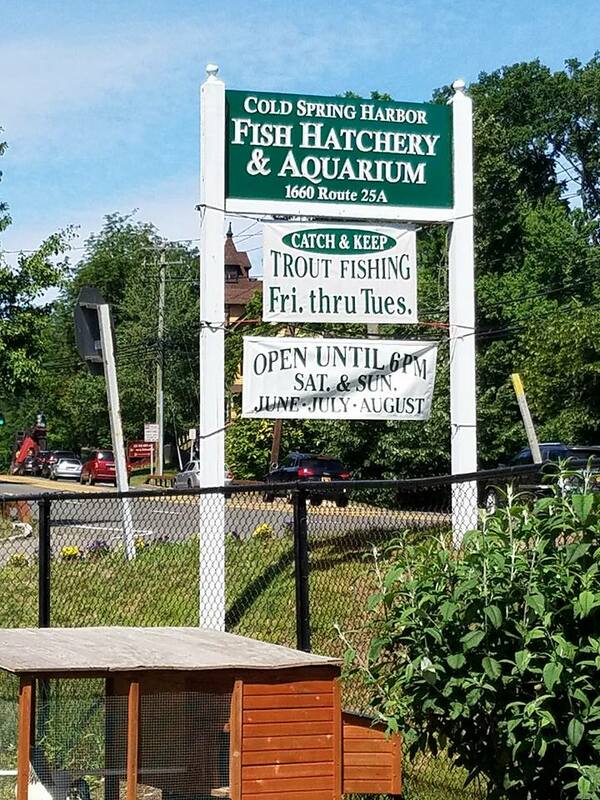 I highly recommend heading to the Cold Spring Harbor Hatchery and Aquarium with your family for a nice day out or if you can make it in time for one of their great programs. 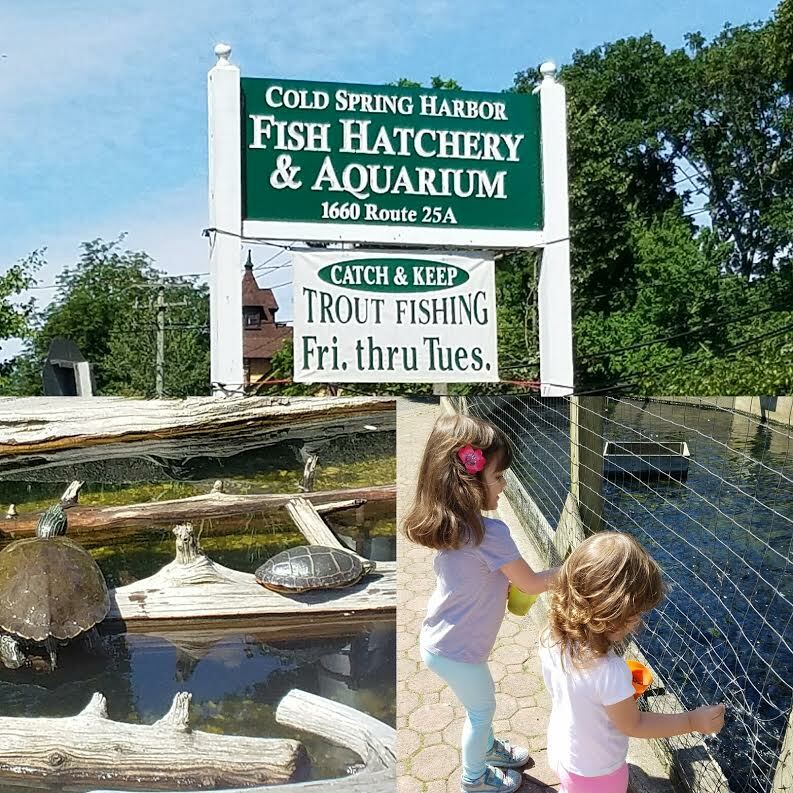 The Hatchery is one of the many gems we have here on Long Island that families can enjoy. 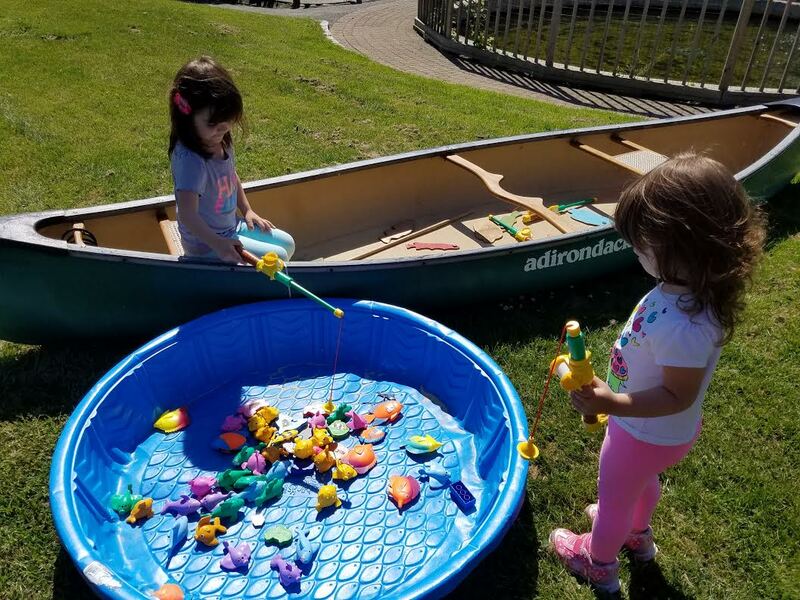 An hour of fun-filled nature activities (fish feeding included). 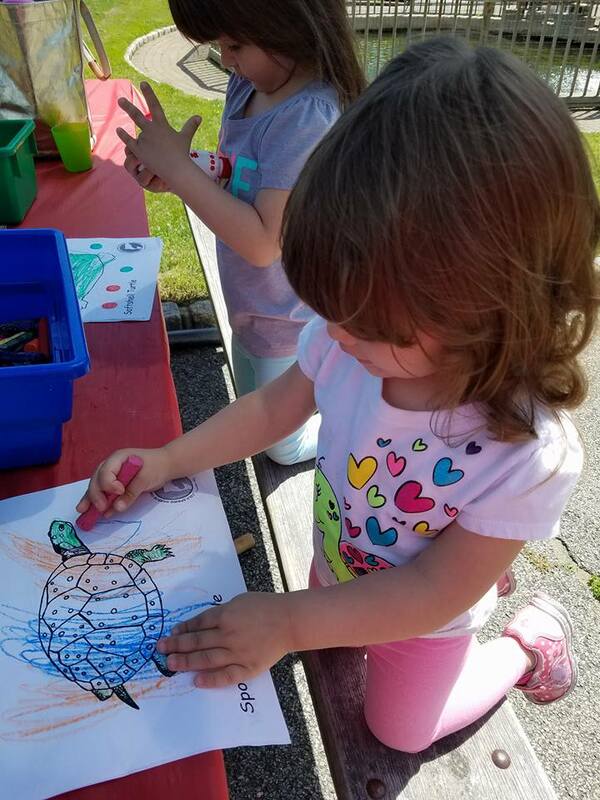 Crafts ~ Stories ~ Games. Juice & Snack will be available. 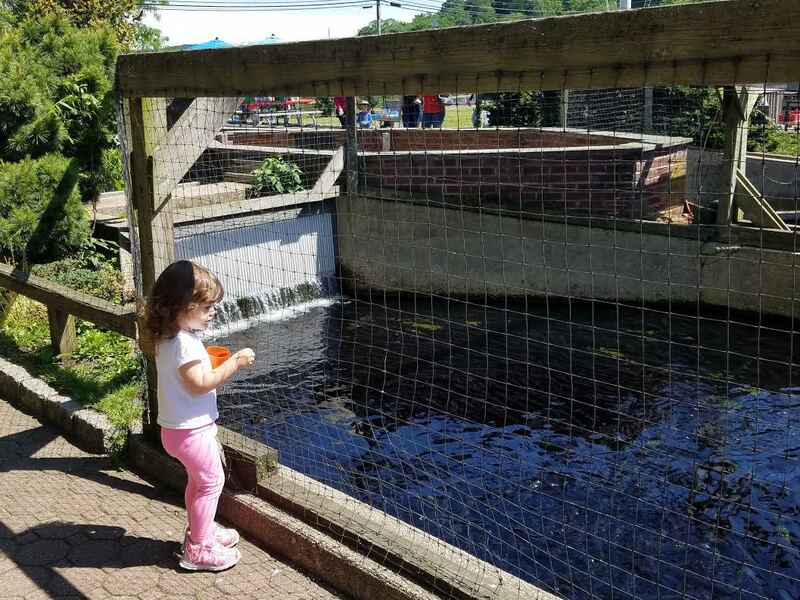 Admission price: Adults $6 and Kids 3-12 are $4, 2 and under are free.